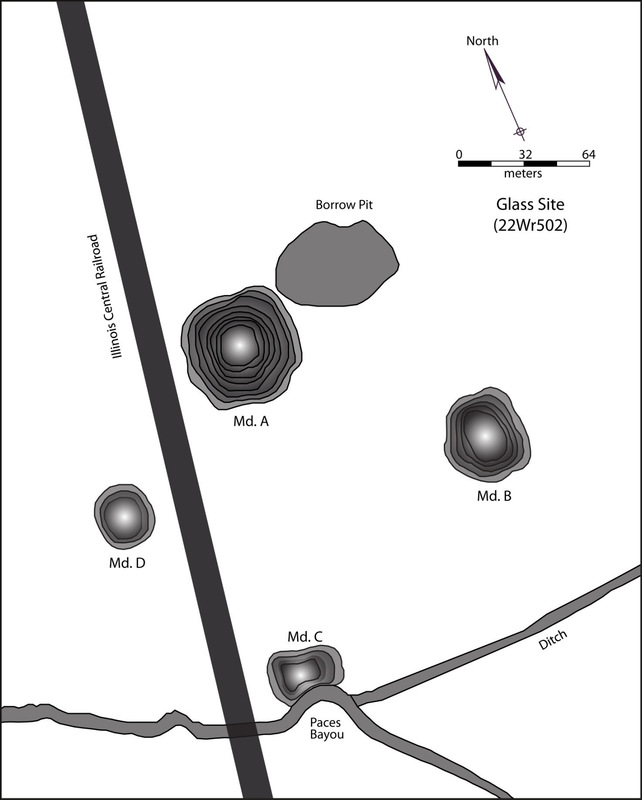 Glass Mounds is unusual among Plaquemine Period (ca. AD 1200-1600) mound sites in this region in that it is located in the floodplain adjacent to the Mississippi River rather than atop the bluffs, a more typical location. The site originally had four pyramidal mounds surrounding an open plaza, with a possible fifth mound located to the north. Portions of three of the mounds remain, though Mound A alone is undamaged. Mound B and most of Mound C were destroyed in 1973, while Mound D has been damaged by a gas line. Mound A currently stands at 30 feet high and has a ramp extending south toward the plaza. Recent professional archaeological excavations uncovered the remains of two wattle and daub structures associated with the final summit occupation of Mound A. These buildings were likely the homes of powerful Native American political or religious leaders. Both structures were burned to the ground upon abandonment and the remains were capped by a layer of mound fill sometime during the 16th or early 17th century. The practice of burning and burying mound-top structures is common for this time period and may have happened upon the death of the persons who lived in them. Much less is known about the remaining mounds, but we do know that Mounds B and C were both used for burial of the dead. A local avocational archaeologist recorded three stratigraphic layers of Mound C's eroded southern face before its destruction in 1973. The earliest of these was a "burial layer," followed by a thin band of yellow soil and then covered by a layer of basket-loaded mound fill. 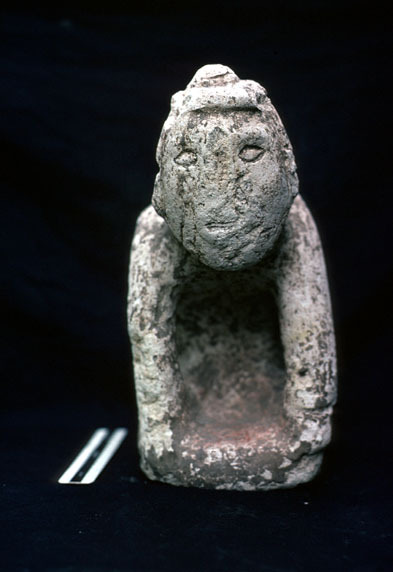 Several notable artifacts also came from Mound C, including pottery, celts, stone palettes, and a limestone human effigy pipe. The pipe and a number of pottery vessels are currently on display at the Old Courthouse Museum in Vicksburg.